The Turtles continue to live in the shadows and no one knows they were the ones who took down Shredder. And Vernon is the one everyone thinks is the one who took Shredder down. April O'Neill does some snooping and learns a scientist named, Baxter Stockman is working for Shredder. He plans to break him out while he's being transported. April tells the turtles who try to stop it but can't. Stockman tries to teleport Shredder but he some how ends up in another dimension and meets a warlord named Krang who instructs Shredder to assemble a teleportation device he sent to Earth a long time ago. He gives Shredder some mutagen which he uses to transform two criminals who were also in the transport with him, Rock Steady and Bebop into mutants. And they set out to find the device. April saw the transformation while investigating Stockman, She would take the mutagen and she would be chased by Shredder's minions, the Foot Clan. 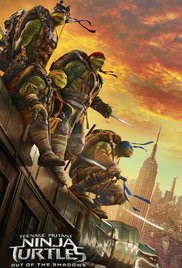 He is saved by a man named Casey Jones who was the one who transporting Shredder. The Turtles show up and they try to work together. In the melee the mutagen ends up with the police. Knowing Shredder will try and get it back, April tries to get it first she asks Vern to help. Eventually she and Casey are arrested. 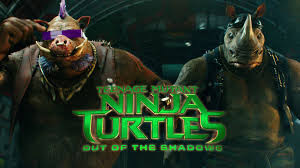 The Turtles get the mutagen and Donatello analyzes it learns it could make them human, which he tells Leonardo who tells him to forget it and not to tell the others. But Michelangelo tells Raphael who feels that Leonardo doesn't respect them.